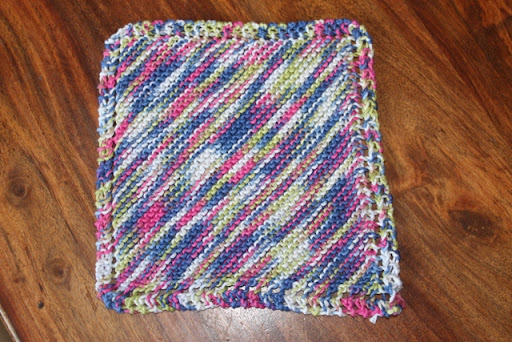 For this weeks cloth I went back to an old favourite called Grandmothers Favourite Dishcloth. Its a quick and easy knit and something I completed in a couple of hours. I chose a King Cole Bamboo Cotton in a variegated yarn and worked it in a 3.5 to give a tighter gauge. I also made it bigger than the pattern stated. The children now want a second cloth so they are getting one in their asked for colour either plain or variegated yarn. I might persuade them onto this nice quick and easy cloth lol. I’ve finished several books recently and here’s a quick review. This was a lovely quick light read with Pride and Prejudice being told from Mr Darcy’s view. I have to say I loved it, now whether its down to it just being about Mr Darcy as he is my most favoured male character of Jane Austens, for me none of the others with the exception of Col Brandon comes close lol or whether its just about Pride and Prejudice. Its well written and has a good flow and it gives the point of view you suspect when reading Jane Austens Pride and Prejudice. Amanda Grange has writen other books like this from the other main male characters in Jane Austens novels such as Captain Wentworths Diary and Mr Knightley’s Diary. I probably won’t rush to read them but that’s mainly due to them not appealing so much to me as characters, I’m a Mr Darcy snob but she does have a Colonel Brandon’s Diary now this I will probably read as I said before he’s my next favourite character. Georgiana Darcy’s Diary by Anna Elliott. Again another light quick read and one I enjoyed reading thoroughly. It was nice to get to know the character of Georgiana Darcy in another form as in Pride and Prejudice you are never given a good clear picture of her. You get to read about your favourite characters some more and get to meet some new ones. Lady Catherine and Anne and Colonel Fitzwilliam all play a big role in this story. Its good if you want to add a little after story to your Pride and Prejudice book as I always like to know what happened to them afterwards. I am currently about 70% through a book called Charlotte Collins a Continuation of Jane Austens Pride and Prejudice by Jennifer Becton. Can you see a trend having been formed lol. I have to say this is good. I knew in Pride and Prejudice Charlotte married the awful Mr Collins for security and I’m going to say one thing, he has died in this so you don’t have to worry about listening to reams of pages on his sermons. I won’t give you the details of how he died as its funny but this story is about Charlotte’s life afterwards as a widow and still a young woman but like all story’s, there’s the good guy and the rogue and you so want her to find happiness, after all of all the characters in Pride and Prejudice I think she deserves it most. I stopped this previous book to read a book lent to me by my dad. Its called Witness to Evil by Veronica McGrath. Now this book is a bit special as its about the brutal killing of Veronica’s father in our area by her mother and Veronica’s then fiancee. Its about the covering up of that murder and how she was sworn to silence by fear of her mother. A fear that she always had from a young child from a mother who did nothing to show her any love or affection. It is written by Veronica to set down the facts of her life warts and all and about her coping or lack there of in subsequent years with what happened that fateful night and the justice she eventually tried to get for her father by telling the truth of that night. Its a sad story and more life than one was destroyed and it has never ending reprucissions for those involved that last to this day and indeed for generations. I think now if you’ve made it this far I need to thank you for bearing with me its been a couple of weeks and as you can see when I wasn’t in the mood for knitting or stitching I read lol. I do just want to add that for all of you who prayed for my brother in law, thank you. He lost his battle on Wednesday morning and passed away peacefully and is hopefully now in a better place free from pain. He was but 20 years old and had is whole life in front of him so its a very sad time. It does remind you now precious life is and to live each day. So sorry to hear about your brother in law passing away, I too hope he is at peace in a far better world.Wow you have been busy on the reading front and it's always good to have recommendations of good books by other people. Might just check some of them out myself. Just wanted to swing by to let you know I nominated you for the Versatile Blogger Award 🙂 Thank you for your inspiring posts! So sorry to hear about your brother in law. I too said prayers for him. My thoughts are with you and your family.